Japan and South Korea yesterday both reached the Asian Games semi-final where they will face Vietnam and the UAE respectively. A Yuto Iwasaki double helped Japan beat Saudi Arabia 2-1. Meanwhile, South Korea where involved in a classic as they beat Uzbekistan in extra time 4-3. South Korea was up against the Under 23 Asian champions and arguably the best side as the Asian Games in Uzbekistan. On paper at least this is the toughest challenge they would face in the bid for a gold medal. Although despite this the game started well for Korea as Hwang took just five minutes to open the scoring. Despite this the Uzbekistan side where level through Masharipov after 17 minutes. Although Hwang the 25-year-old who plays his club football in Japan with J League side Gamba Osaka restored the lead in 35 minutes. Then it all went a bit wrong for the Koreans after the restart as Uzbekistan scored twice in a few minutes to lead 3-2. Although the impressive Hwang completed his hat-trick on 75 minutes and took the game to extra time. On 101 minutes Ikromjon Alibaev of Uzbekistan was sent off after picking up two yellow cards in a matter of seconds. Then on 117 minutes, South Korea was awarded a clear penalty and up stepped Hwang Hee-Chan of Red Bull Salzburg. The attacker and had a poor game and his penalty wasn't great but it just slotted in the bottom corner. The delight was clear as Hwang Hee-Chan took his top off in celebration. The win means the Koreans are two games away from a gold medal and military exception for the whole team. 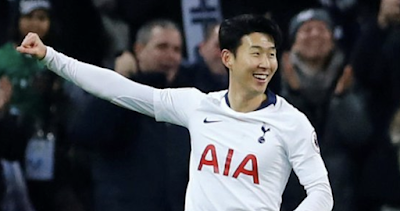 This as off course been on the news a lot in the English media as it would mean Son Heung-min would not have to leave Spurs for two years military service. Japan won in slightly less dramatic fashion as they overcame Saudi Arabia 2-1. They opened the scoring in the first half with Daizen Maeda winning a 50-50 ball on the edge of the box before laying off to Iwasaki, who curled a sublime effort into the back of the net. Although on the 39th minute the scores were level again after Abdullah Al-Yousif’s low shot was parried by Ryosuke Kojima but straight into Yugo Tatsuta, who could only watch on in despair as the ball hit off his heel and into his own goal. 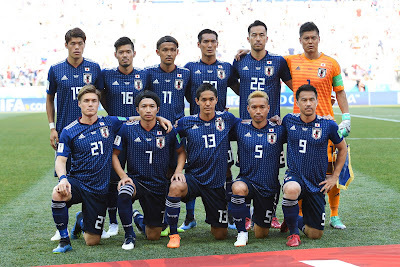 After the break Japan then looked the better side as they created all the chances then Maeda broke free down the left using his excellent pace hit the byline before cutting a pass back to Iwasaki, who made no mistake in guiding a shot home to win it for the Japanese. Japan will face UAE on Wednesday with the possibility of an all East Asian Final on Friday on offer.